This MTA Networking Fundamentals training course equip candidates with the fundamental networking knowledge and skills. The MTA Networking Fundamentals course aims to train students to undertake MTA Networking Fundamentals exam. The MTA is one of the most fundamental certifications offered by Microsoft and can be undertaken in order to pursue higher certifications ranging from MCSA to MCSE. The MTA Networking Fundamentals course is structured in such a way that one is able to learn all the basic concepts of netwoking and retain them over long period of time. 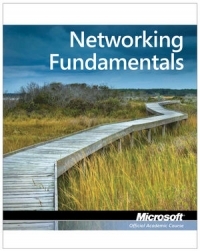 Some of the concepts covered during MTA Networking Fundamentals course include understanding the Network Infrastructure, internet, intranet, and extranet, Virtual Private Network (VPN), security zones, firewalls, local area networks (LANs), perimeter networks, VLANs, wired LAN and wireless LAN. By the end of MTA Networking Fundamentals Training course, the student will be able to demonstrate a thorough understanding of protocols and services, Open Systems Interconnection (OSI) model, Transmission Control Protocol (TCP) model, Subnetting, IPconfig, why use Internet Protocol version 4 (IPv4), addressing, ipv4toipv6 tunneling protocols to ensure backward compatibility, dual IP stack, subnetmask, gateway, ports, packets, reserved address ranges for local use (including local loopback IP), DNS, Windows Internet Name Service (WINS), steps in the name resolution process and what not. What is included with the MTA Networking Fundamentals Course?